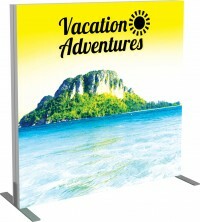 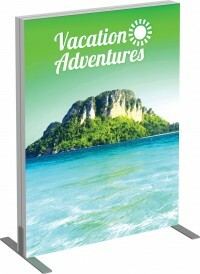 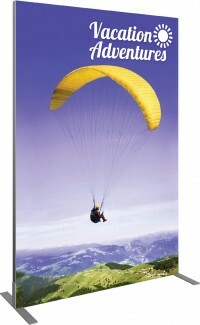 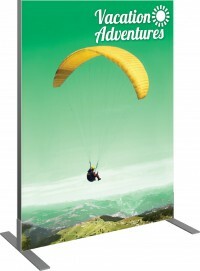 Silicone edge graphic, or SEG fabric trade show displays have an aluminum frame with a channel that accepts the silicone strip that is sewn into the perimeter of the fabric graphic. 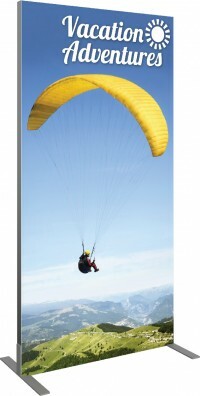 This silicone edge is inserted into the channel of the frame to pull the graphic tight and hold it securely, which is why these graphics are also called push fit graphics. 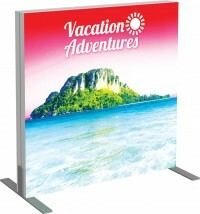 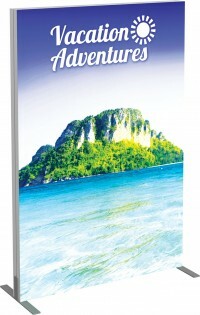 Silicone edge graphic displays come in more limited shapes, usually simple rectangles and some curves, but they offer a simple design that is clean and modern. 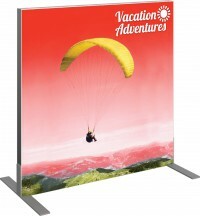 The frame design for these trade show displays also lends itself to being illuminated with LED edge lighting, which is something most other styles of fabric displays can't offer. 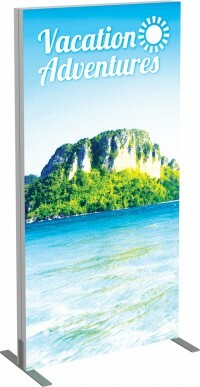 There are many different kits available in this category, including some that are backlit. 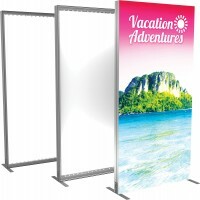 Single frame units in this category come as large as 10' x 8' and can be either floor standing or wall mounted for use in environments other than trade shows. 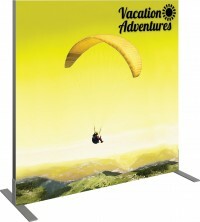 For advice on selecting the right silicon edge graphic fabric trade show display or on what will work best for your needs, please contact us.